Our Los Angeles DUI lawyers were saddened to learn about a terrible fatal tragedy that rocked Maryland a few weeks ago and left a major church embroiled in public relations damage control. Heather Cook, an Episcopal bishop in Baltimore, Maryland, was arrested in early January for a hit-and-run incident while allegedly intoxicated. That collision left a bicyclist dead at the scene. 44 year old Tom Palermo had been riding his bike when Cook — who allegedly had been texting while driving — struck him from behind while swerving on the road. Tests later suggested that she had three times the legal amount of alcohol in her system. (Per both Maryland and Los Angeles laws, the legal limit is 0.08% BAC). The bishop then allegedly panicked and drove off for over half an hour, leaving witnesses to call for an ambulance. Mr. Palermo died of his injuries a short time later. Bishop Cook later returned to the accident scene and gave herself up to the police. This is Bishop Cook’s second DUI charge. Four and a half years ago, police arrested her for possession of marijuana and driving under the influence. After that incident, her diocese failed to inform most of the church’s administration of the crime. Shortly after, church higher-ups promoted her to bishop. Cook’s alleged actions left a wife and two children without a father; critics say the church has failed to punish her behavior appropriately. 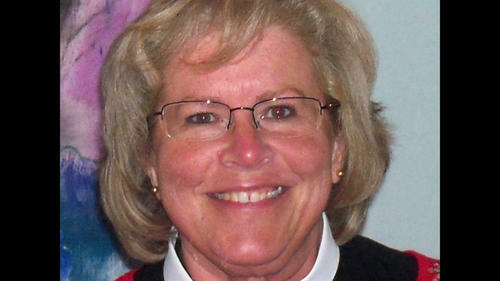 The diocese placed Cook on leave with full pay and compensation. In a statement made to the press, the church said it’s putting faith in the judiciary system to render a fair and just response. If the bishop successfully avoids prison, the church has indicated that she will get to return to her position without any repercussions. Critics say that Bishop Cook has received special treatment from the state attorney’s office. They say that attorney Marilyn J. Mosby waited nearly two weeks to file charges against Cook; meanwhile, the cycling community and general public has fumed. Critics said that a layman similarly charged would have been treated much more harshly by the system. If you got pulled over for a DUI, don’t panic, but do take strategic action to deal with your charges. An experienced Los Angeles DUI lawyer with the Kraut Law Group can help you respond strategically to your arrest and avoid common errors that can complicate cases.